Today, President Trump will head to El Paso, Texas for a campaign rally to divide and demagogue in order to make his case for his costly, ineffective border wall. Even after shutting down the government for thirty-five days — putting our economy at risk and forcing 800,000 employees to miss two paychecks — the President is focused on rallying his base with xenophobic and fearmongering rhetoric. But the facts do not show the need for a wall from sea to shining sea. I know that because I traveled to the border on Saturday to seek the facts, meeting with both migrant advocates and border law enforcement personnel. Joining me were four outstanding new Democratic Members of Congress: Reps. Veronica Escobar (TX-16), Xochitl Torres-Small (NM-02), Deb Haaland (NM-01), and Mary Gay Scanlon (PA-05). Together, we traveled to Texas and New Mexico along the border, areas that Reps. Escobar and Torres Small represent, to meet with local advocates for migrants, tour a hospitality center for migrant families and children, and hear about the challenges that U.S. Customs and Border Protection (CBP) personnel face. 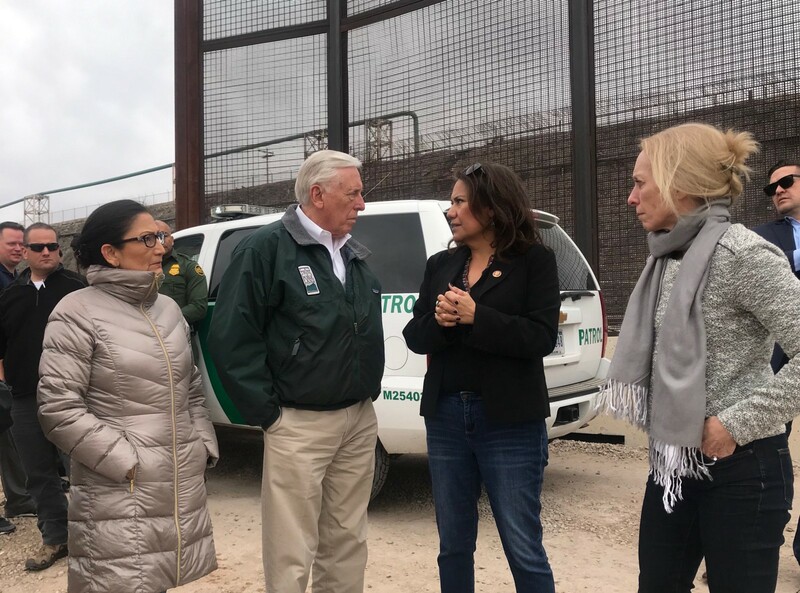 I joined Congresswoman Veronica Escobar, Representative Xochitl Torres Small, Congresswoman Deb Haaland, and Congresswoman Mary Gay Scanlon this weekend in El Paso, Texas and Sunland Park, New Mexico. 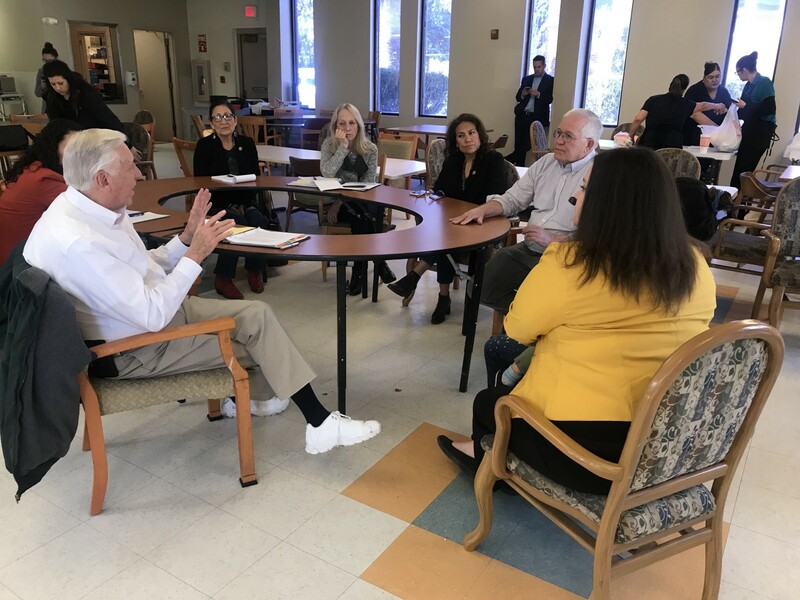 Our first stop was a meeting with local immigrant advocates who shared heartbreaking stories of migrants fleeing violence and poverty and were affected by this Administration’s shameful family separation policy. What we found at the migrant shelter was heartbreaking. We saw families fleeing horrific violence and drawn to our borders by the same idea that brought many of our ancestors to America: that our country is a land of freedom, safety, and opportunity. But many of them have been met with cruel, inhumane policies, including family separation. We met with a young mother of two children, who was separated from her three- and five-year old daughters this fall. She was only reunited with them the night before our meeting. She told us through tears that they had been separated for four months — and she still does not know why. The mother was able to call her children periodically and lied to them, saying she was away because she was working, to allay their fears. They told her: “work faster, mami,” urging her to come home. As she held her children before us, they wiped her tears and consoled her, telling their mother she was home now and would be okay. During the trip, we visited Annunciation House, a non-profit in El Paso providing migrants with essentials like food, shelter, and a roof over their head. We spoke to a family that was separated and discussed how we are fighting for humane immigration policies. Later in the day, we heard first-hand from CBP personnel about the difficult challenges they encounter. The character of migrants presenting themselves at the border has changed dramatically over the past five years. Rather than apprehending single males at the border, they are processing entire families — mothers and children fleeing violence and poverty and seeking refuge in our country. This change has presented new humanitarian challenges, and it was clear that CBP does not have the resources or personnel to adapt. We toured the border with U.S. Customs and Border Protection officials and participated in briefings along the way. This photo is from the site where a child migrant, Felipe Alonzo-Gomez, was apprehended. He later died in the Trump Administration’s custody. At the border we did not find a crisis of the kind President Trump has described — an invasion of criminals that would demand the construction of a wall. Instead, we found vibrant communities rich in culture. El Paso, Texas, and Sunland Park, New Mexico, are both safe communities, and their economies benefit from commerce and trade with Mexico. These border communities experience a difficult set of challenges to be sure, some of which have been created or exacerbated by the President’s own policies, but the falsehoods about the border being dangerous and overrun by criminals hurts both the local economy as well as local morale. 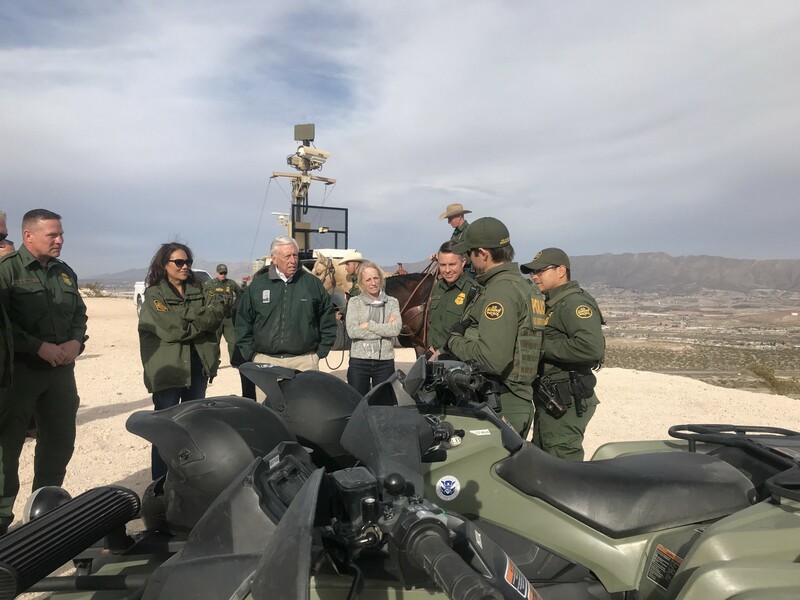 We concluded our briefing with U.S. Customs and Border Patrol officials at an area along the border of New Mexico and Mexico called Monument Three. 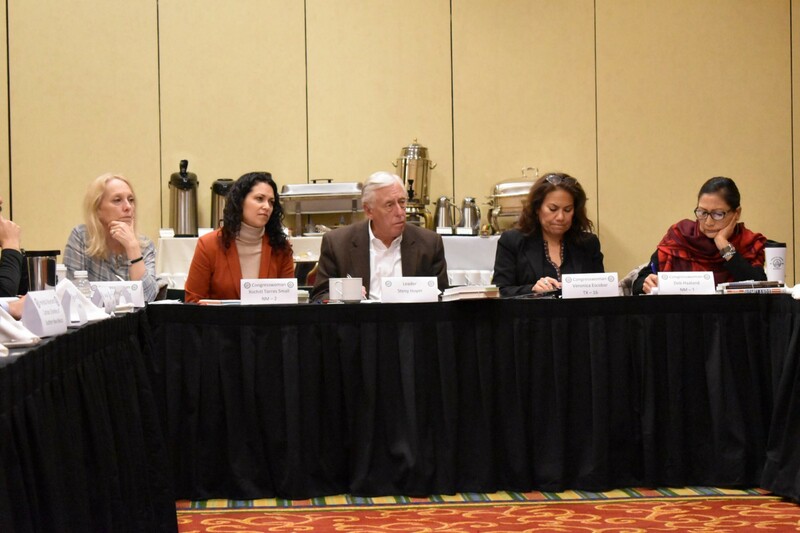 Throughout our trip, we heard from those on the ground that we need the right mix of resources to address the challenges they face, including personnel, technology, infrastructure, and humanitarian assistance. The trip also made clear that we must address the root cause of this challenge by working with countries from which migrants are fleeing to bring about real security and economic stability. While my colleagues and I went to the border to listen and find solutions, President Trump is going there today to exploit and mischaracterize the situation there for political purposes. That’s unproductive and wrong. By now, Americans know what to expect from President Trump’s campaign rallies: more offensive statements that seek to scapegoat and pit one group against another and falsehoods to fuel a misleading narrative of crisis. But anyone who has actually visited the border and met with people living in its communities reliant on the exchange of people, goods, and culture can see right through the President’s rhetoric. Democrats, with the help of dynamic new Members like those who accompanied me to Texas and New Mexico, will continue to stand up for smart border security and for immigration and asylum policies based on our highest values, not baseless fears. No matter what President Trump says today in El Paso, he cannot change the fact that the only crisis threatening our border is his own dangerous and irresponsible approach to its challenges.